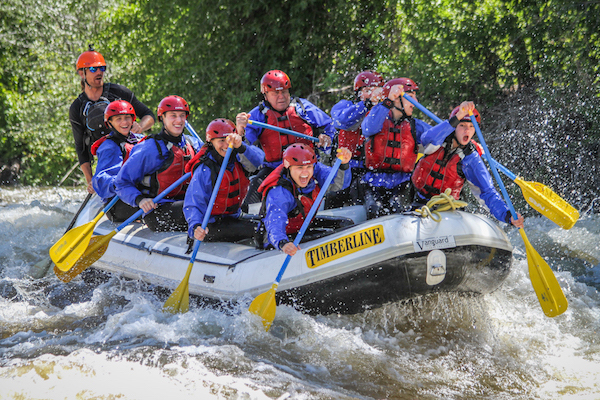 When going on a Colorado rafting trip near Vail with Timberline Tours, you’ll get the chance to try out the whitewater rafting forward paddle stroke. But don’t worry: Even if you’ve never paddled a raft before, Timberline’s expert guides will give you the key advice you need for a safe and fun adventure. 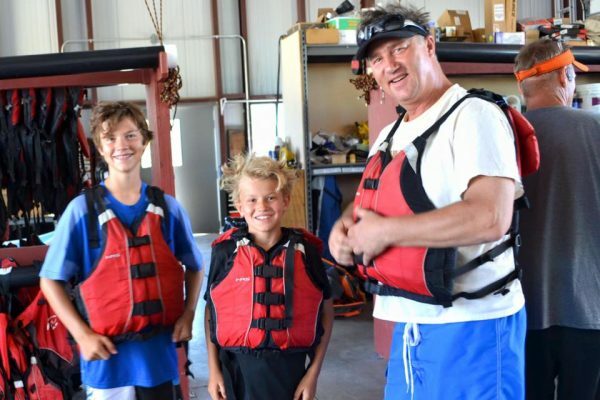 Before you go out on the river, you’ll get outfitted with the gear that you need, including a life jacket or PFD, also known as a personal floatation device. Timberline’s guides will work with you to make sure you know how to wear a life jacket correctly. And then they will go through a safety talk that covers rafting safety and common paddling commands in addition to rafting paddling tips and advice. Part of the safety and paddling talk will also cover the most-used paddling stroke, the whitewater rafting forward paddle stroke. 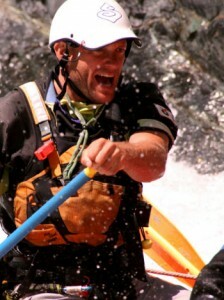 Hand position: Place your upper hand over the paddle’s T-grip. It’s important to grip securely and maintain this hand over the T-grip to keep the paddle from potentially hitting others in the raft. With your lower hand, grip the paddle shaft. Choose a wide grip; if you were to hold the paddle overhead with both hands in their correct positions, you’ll have about a 90-degree bend at your elbows. Preparing for powerful paddle stroke: The trick to getting a strong paddle stroke is engaging your upper body, and specifically your core. Stretch forward while holding the paddle in its proper position with both arms, and also lean forward with your entire upper body. Paddle entry and pull: Place the paddle in the water perpendicular to its surface while stretched forward. Engage your core and straighten your body to an upright position while pulling the paddle through the water back to your hips before resetting for another stroke. While pulling, rely on all of the muscles in your upper body. You should feel tension in your core while paddling, and if your arms begin to get tired, remember to paddle with your whole body and not just with your arms. Stay alert and in sync: Part of being a good rafting paddler involves listening to your guide. Guides shout out paddling commands that help your crew get safely down the river. Keep your ears alert and your mind sharp so that you’re ready to paddle forward when you hear the command. Also make sure that you paddle in sync with the others in your boat. The two front paddlers set the pace, and others follow suit, so be aware of how your paddling timing matches the paddling of those around you. Dig in: Finally, don’t be shy about putting a good deal of muscle into your forward paddle stroke. Your paddling commitment helps keep the boat on track through Colorado’s adventurous rapids. Even when you might feel afraid in some moments, continue to paddle forward if your guide had commanded it to get through the waves, splashes, and rapids you’ll encounter along stretches of river with higher river class ratings.